We have a really good fishmonger in the neighborhood where we get our fresh fishes from. Uncles even knows us personally and our usual orders of salmon, cod fish and threadfin fish. We particularly like his salmon fishes. Thick slabs of fatty salmom at about $5-6 each. Perfect when roasted and lightly dressed in olive oil. Makes you wonder why we pay so much dining out. 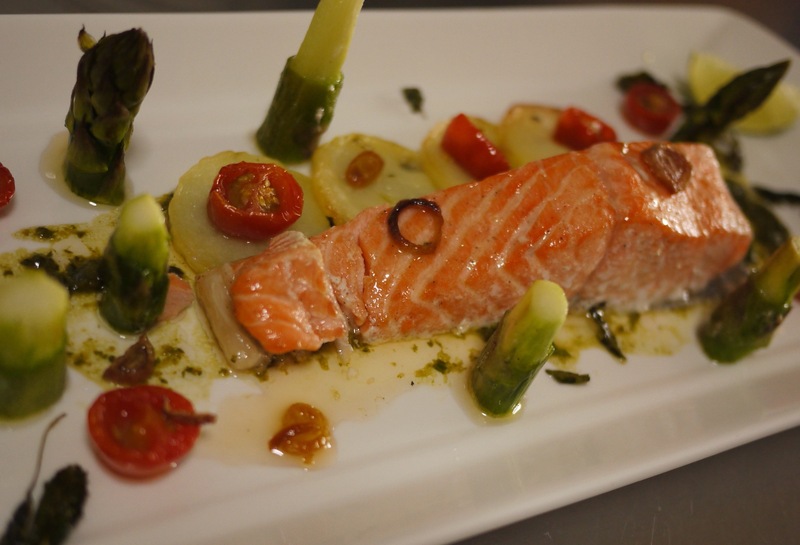 Salmon, asparagus, potatoes, cherry tomatoes, and shallots, all roasted. For fish so good, we really do not need to do much. Preheat the oven 220 degree Celsius. Season the salmon lightly. Roast in oven for 10-12 minutes. Remove from oven, let it rest for a short while. Plate carefully and beautifully. The veggies? They are the supporting cast. the asparagus is worth mentioning, but that is another story. Today, salmon is the star. This entry was posted in Cook and tagged salmon on November 27, 2013 by three3seconds. Dinner, when you have a hobbyist/aspiring/enthusiastic/experimental/never grow fat chef at home can be a dangerous affair. Especially when he goes grocery shopping. ALONE. Suddenly our fridge is FULL of things I will never know exist, until they land up on the plate, or sometimes, dissolved in the rest of the ingredients, which of course, would remain forever a mystery to me. Ah well. What you don’t know won’t hurt right. Was feeling kind of sluggish and didn’t want to go out for dinner last Sunday. So, I suggested koka maggi noodles (instant noodles) topped with some vegetables, mushrooms, sausage and perhaps an egg. What i got (after zzz’s trip to Cold Storage Supermarket) was a salmon cous cous and tiramisu dessert. Not that i am complaining. The cous cous and salmon were fantastic!! I love cous cous. Its so easy to make (yes yes its instant cous cous only, but who makes fresh ones here?! ), toss in the cherry tomatoes, parsley and some lemon juice and chopped shallots and we are good to go. 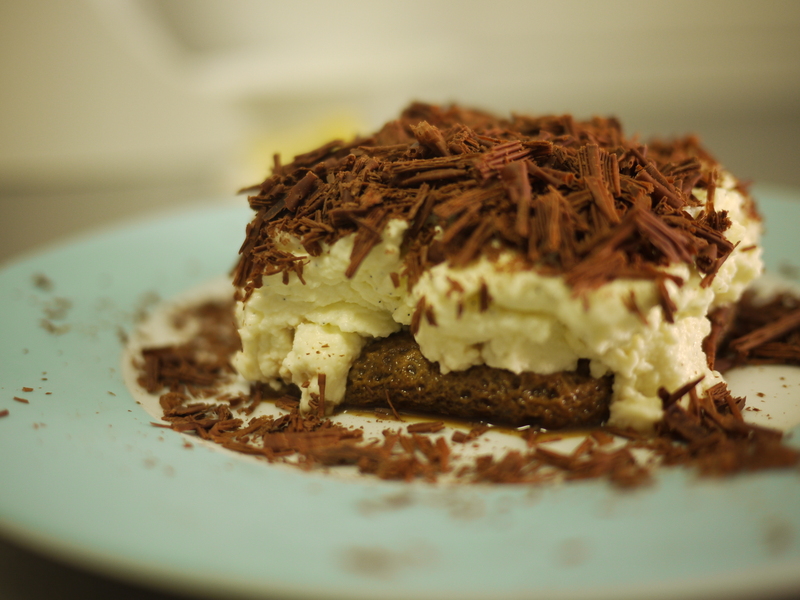 The tiramisu was a tad heavy on the mascarpone cheese (below is already reduced). Try to go easy on it for more balance with the coffee and rum. Arrange the lady fingers in a medium deep bowl. Smear over lady fingers, sprinkle with sieved cocoa powder or shaved chocolate. ginger. Give everything a bit of a mix before adding the hot boiled water. Cover the bowl, either with plastic wrap or a plate, and set aside. Into another bowl, put the finely chopped onion. the lemon into the dish. Squeeze the lemon juice into the bowl with the onions. stir in 1 tablespoon garlic flavored oil. in the remaining teaspoon of garlic flavored oil and set aside. color in the middle, so do check as you cook. the water. Add the tomatoes with lemony onion mixture and stir with a fork. taste for seasoning, adding more salt if needed. 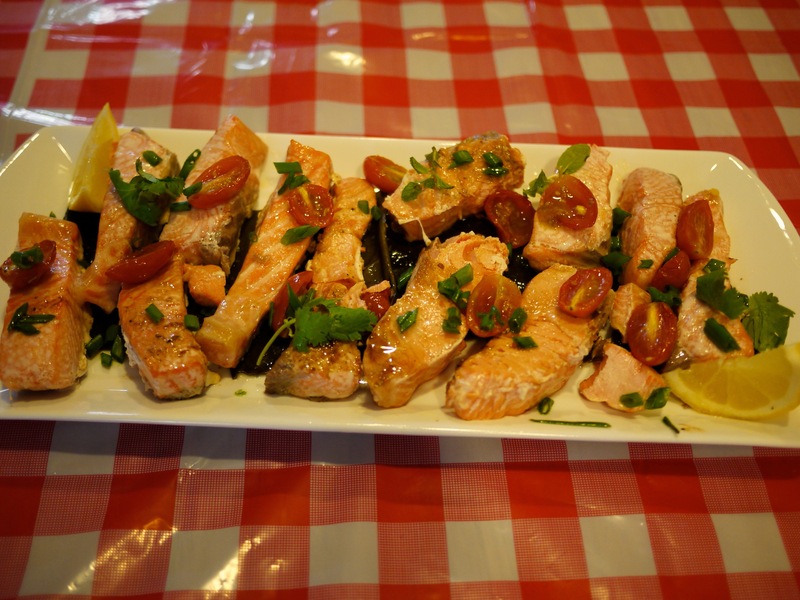 Spoon some couscous onto each plate and arrange a salmon fillet alongside. Sprinkle with a little more cilantro as you hand out each plate. 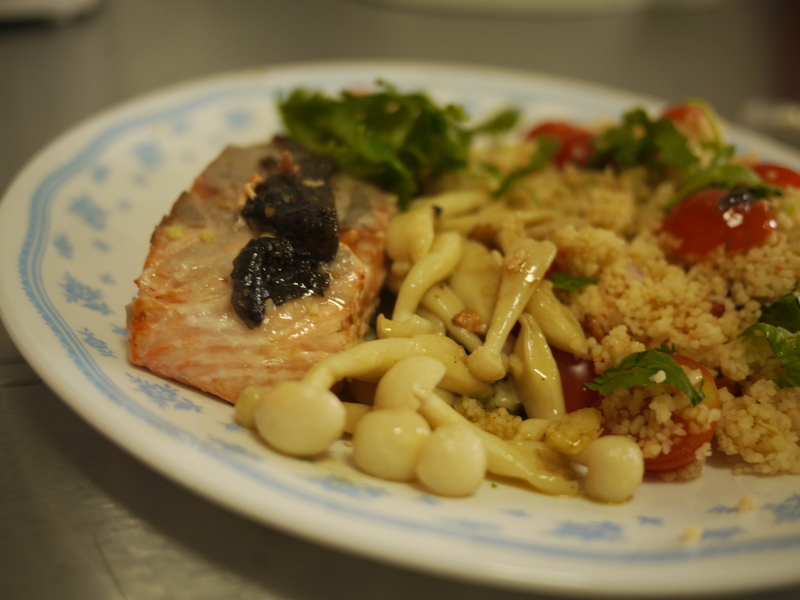 This entry was posted in Cook and tagged cous cous, dessert, lemon, nigella lawson, salmon, tiramisu on May 17, 2011 by three3seconds. Dinner @862 has recently taken on a Japanese twist. All because zzz borrowed a book from NLB (yes, our national library IS ONE OF THE BEST!!) 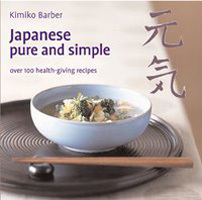 by Kimiko Barber titled “Japanese Pure and Simple”. Japanese food/cuisine (if you like) has this simple allure with the quest for perfection, balance of food with beauty, and all that invisible zen around, its really hard to not like it. In any case, Japanese fare has always been enjoyed everywhere. The sushi chains, ramen shops, new modern Japanese cafes (now what’s that?!) 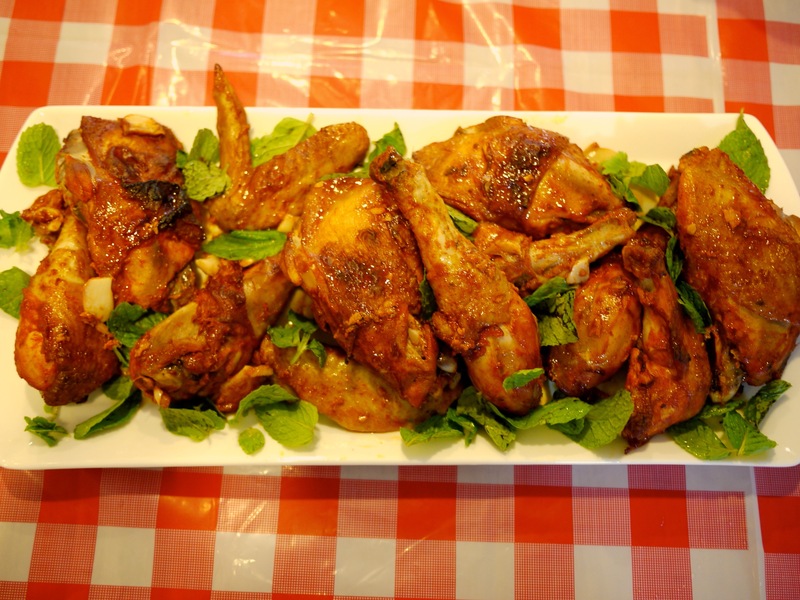 – all the too-commercial restaurants that have sprouted everywhere are sure evidence. For us, there are only a handful of shops we will gladly choose for a Japanese meal – among them are Nansuttei or Ikoi. I didn’t used to be or meant to be picky, that only happened when we got repeatedly disappointed by the franchise shops which decided cost efficiency is more important than quality. Anyways. 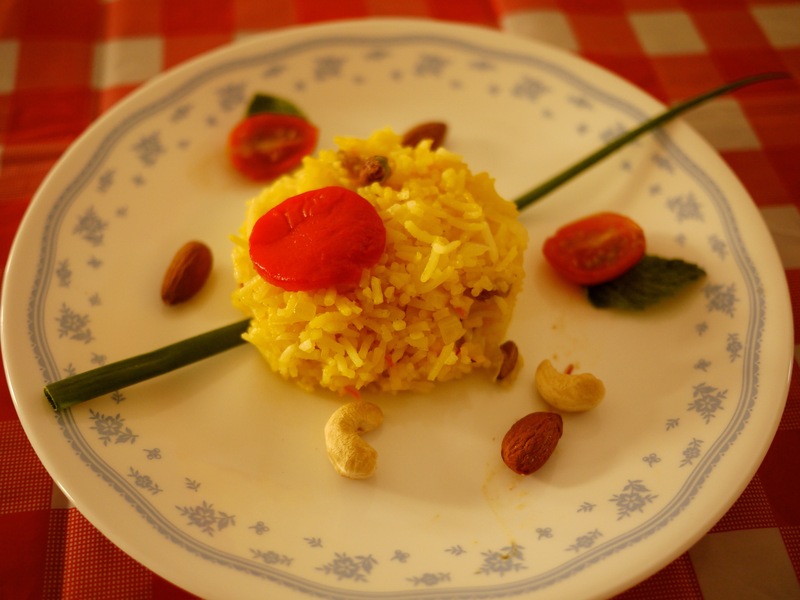 Here are 2 recipes which zzz tried over the past weeks. They look pretty easy, obviously, i only ate, so i wouldn’t know more. There were more, but i just got too hungry to snap snap – bad bad me. Take out the konbu when it begins to float and a few small bubbles start to appear. Pour in a ladle of cold water followed by the bonito flakes. Turn up the heat slightly and cook until the liquid returns to boil, but do not let it come to a full boil; turn off the heat. Let the bonito flakes settle to the bottom and strain the dashi through a fine sieve lined with a piece of kitchen paper. An asparagus spear has a natural breaking point when you bend it, so break the spears with you hands and discard the hard lower parts. brush each spear with vegetable oil and frill for 10 mins., turning them over to cook evenly. 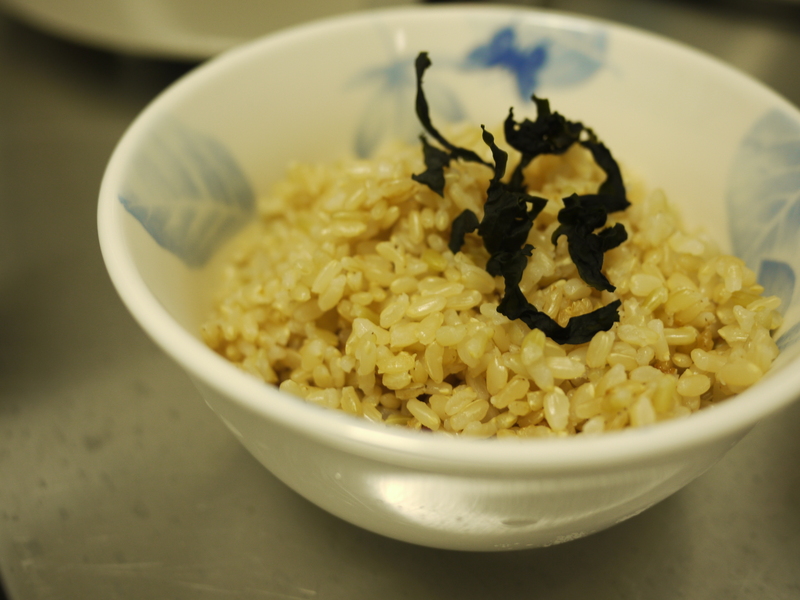 meanwhile, mix the dashi stock, soy sauce and mirin in a flat-based dish. Transfer the cooked asparagus spears to the dish while they are hot to let them absorb the flavors fof the dashi mixture and serve. Put the miso paste in a small bowl and add a ladle of soup to dilute. Add the miso mixture to the soup and stir to blend, Adjust the seasoning with salt if necessary. Let the soup return to the boil and add the chopped spring onions. Turn off the heat and serve in warmed soup dishes. If the rice above looks like a little brown. It is. That’s because we used brown rice. OK, so its not Japanese, but we figured its the taste and essence that counts!! 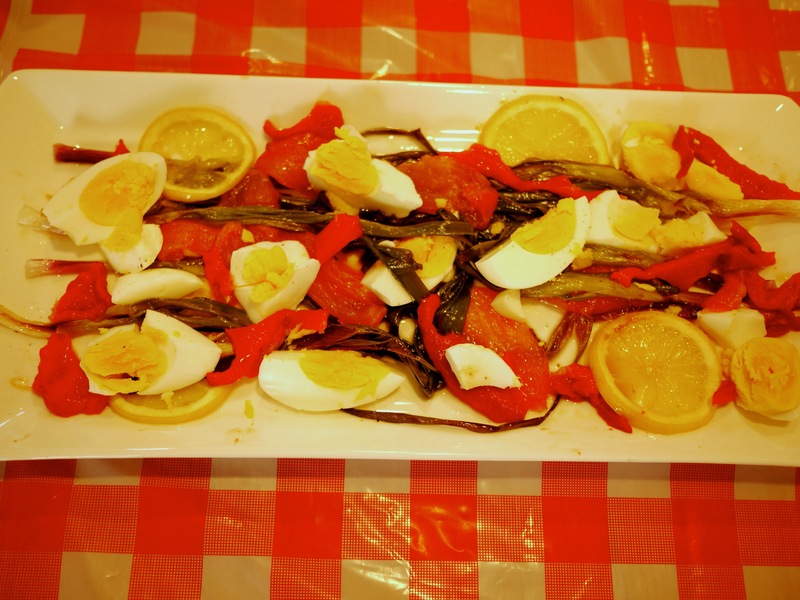 This entry was posted in Cook and tagged asparagus, Japanese, salmon, soup, vegetables on March 29, 2011 by three3seconds.